Experience the macOS via Virtual Reality. Is there a better alternative to VR Desktop? Is VR Desktop really the best app in Lifestyles category? Will VR Desktop work good on macOS 10.13.4? 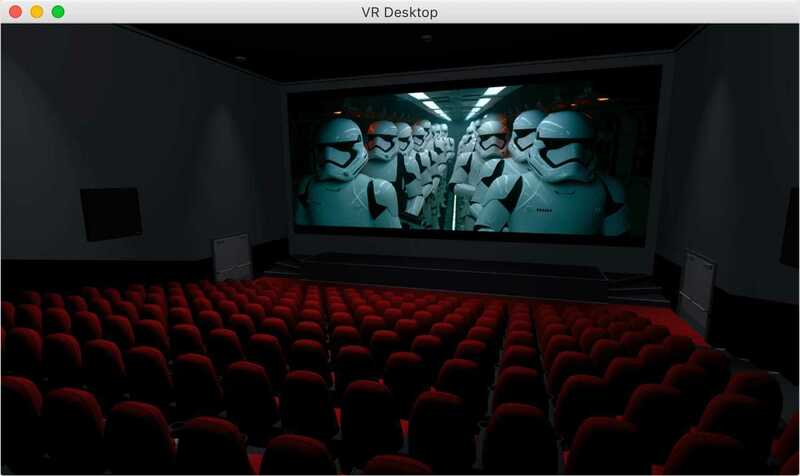 VR Desktop is an application that enables you to use macOS together with Virtual Reality headsets. Whether it's for work or entertainment, VR Desktop takes your computing experience to the next level. 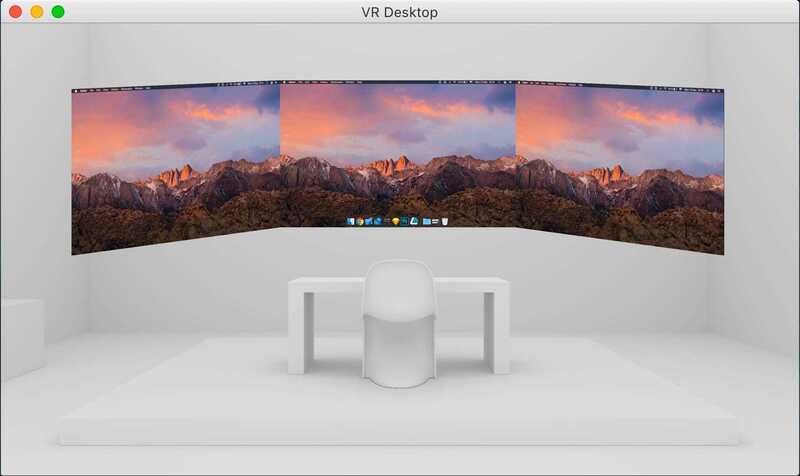 Meet Your Virtual Workspace - VR Desktop allows you to create a giant virtual multi-monitor workspace that works seamlessly with macOS and third party applications. Next-Generation Entertainment - Experience your movies inside a grand cinema, or play games on a giant curved screen in space. Whatever you want to do, you’re in control. VR Desktop needs a rating. Be the first to rate this app and get the discussion started! The Ultimate Desktop Experience - Enhance your macOS experience by loading custom virtual environments with a multiple screen setup. Multitasking has never been easier. Optimized for the Mac - VR Desktop is built with our custom state-of-the-art VR framework to ensure a smooth experience on any modern Mac with a discrete GPU. Built for Industry-Leading VR Hardware - Targeting all major current and upcoming consumer VR headsets.